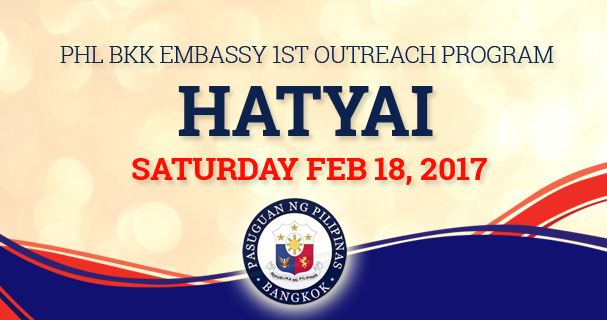 The Philippine Embassy in Bangkok will hold its first consular outreach program this year in Hat Yai, Songkhla on February 18, 2017. Venue will be announced later. Hat Yai is a city in southern Thailand near the Malaysian border. It is also home to many Filipinos who work as English teachers. 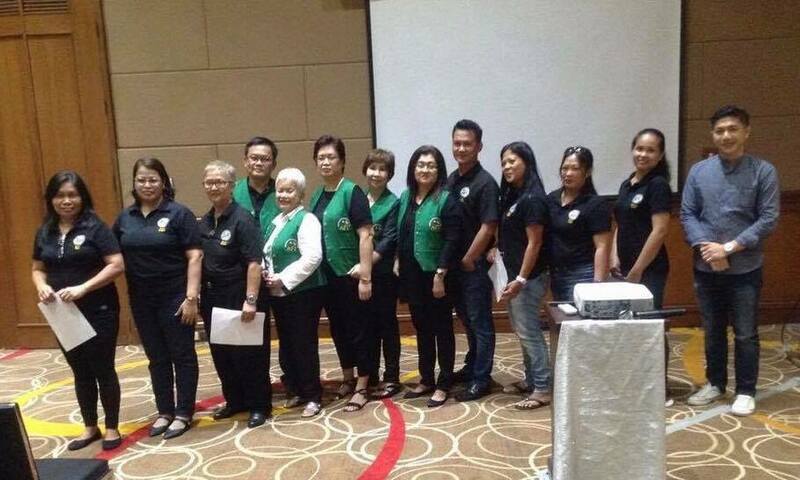 Filipinos in the southern region of Thailand are encouraged to avail of the consular services to be rendered by the consular team at the outreach program, said the embassy. 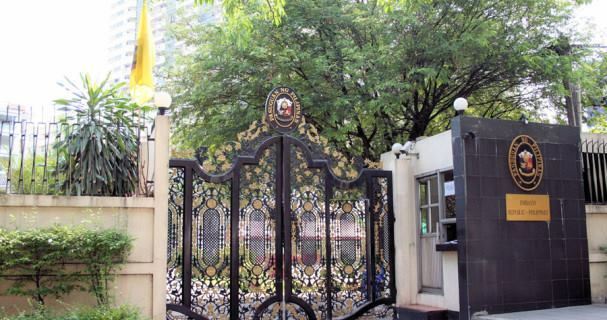 Those who are availing the services are asked to send their names, contact number and the service they wish to avail of to bkkpe.consular@gmail.com so Embassy officials can prepare for the mission accordingly. Below are the available consular services on February 18. PASSPORT APPLICATIONS (new, renewal, lost or damaged passports). Bring original passport and a photocopy of the passport data page. For lost passports, bring a police report with English translation. 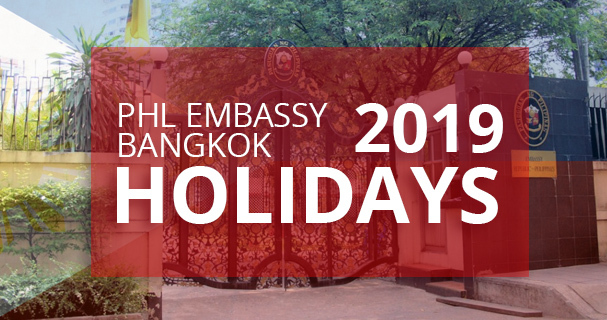 After verifying that your new passport is with the Embassy in Bangkok, please send an email request to bkkpe.consular@gmail.com that you wish to claim your new passport in the coming outreach. The email message must contain the name of the passport applicant, official receipt number, and mobile number. Please await the Embassy’s email reply confirming your request. CIVIL REGISTRY (Birth, Marriage, Death). For reports of birth, marriage, or death, make sure that the birth or marriage or death certificate issued by Thai authorities is translated into English and authenticated by the Thai Ministry of Foreign Affairs. 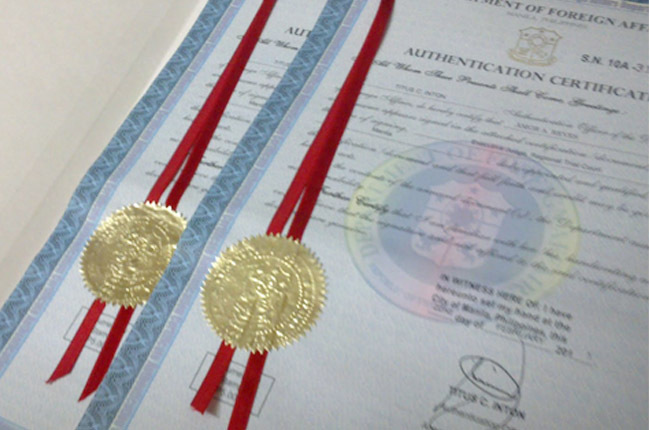 NOTARIAL SERVICES (Authentication, Certification, Acknowledgement, Affidavit, Special Power of Attorney). Bring two (2) sets of photocopies of the document to be notarized. The original copies of documents to be authenticated must also be presented. EMBASSY IDENTIFICATION CARDS. Please bring the original and photocopy of your passport and one (1X1) ID photos. OVERSEAS VOTING REGISTRATION FOR THE 2019 SENATORIAL ELECTIONS. Please bring the original and photocopy of your passport.